Visit Athirappally – A must visit place in Kerala, India famous for Athirappilly Water Falls. Planning to explore Athirappally and Kerala? Contact Kerala.com Travel Division, Cochin, Kerala, to plan your entire trip in Kerala especially the largest waterfalls in the State. This is one of the great attractions of Kerala Tourism. Kerala.com Travel Division is approved as an Inbound Tour Operator by the Ministry of Tourism, Govt of India and the Department of Tourism, Government of Kerala. We can provide you the best Athirappilly Tour Packages, Honeymoon Packages in Athirappally, Resorts / Hotels in Athirappally, Homestays in Athirappally, Farm Tourism. 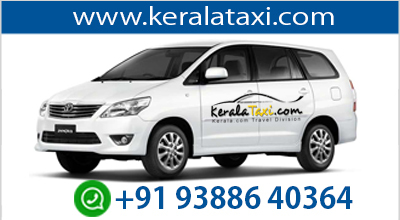 Unravel the great pleasures of traveling across Kerala and India - without any hassle, without any worry. Kerala.com Travel Division of Worldviewer Dot Com (India) Pvt Ltd, is one of the selected tour operators accredited by Ministry of Tourism, Government of India and Department of Kerala Tourism after going through the accreditation process. The Approval is given to a Tour Operator to encourage quality, standard, and service in the area of Tour Operation so as to promote tourism in Kerala and India. We provide tour packages to places all over Kerala as well as India. Definite reservations at fine inexpensive hotels, resorts, houseboats, homestays and farmhouses. The Athirappilly Falls is situated 1000 ft above sea level on the Chalakudy river, at the entrance to the Sholayar ranges of the Western Ghats, is a beautiful combination of forests and little streams. Falling from a height of 80 feet, this is one of the largest waterfalls in the state. Many endangered and endemic species of flora and fauna are there in the forests of the Athirapilly-Vazhachal area. This area is the only place in the Western Ghats where four endangered hornbill species are seen. The Western Ghats is one of the most important biodiversity hotspots in the world. Environmentalists claim that Athirapally is a one-of-its-kind riparian ecosystem in Kerala Vazhachal forest division is the second most biodiverse area in the State. The International Bird Association has declared it an "Important Bird Area" and the Asian Nature Conservation Foundation has recommended that the area should be declared a sanctuary or a national park, he points out. The Wildlife Trust of India says it represents one of India's best elephant conservation efforts. "Any disruption to this fragile ecosystem will spell disaster.